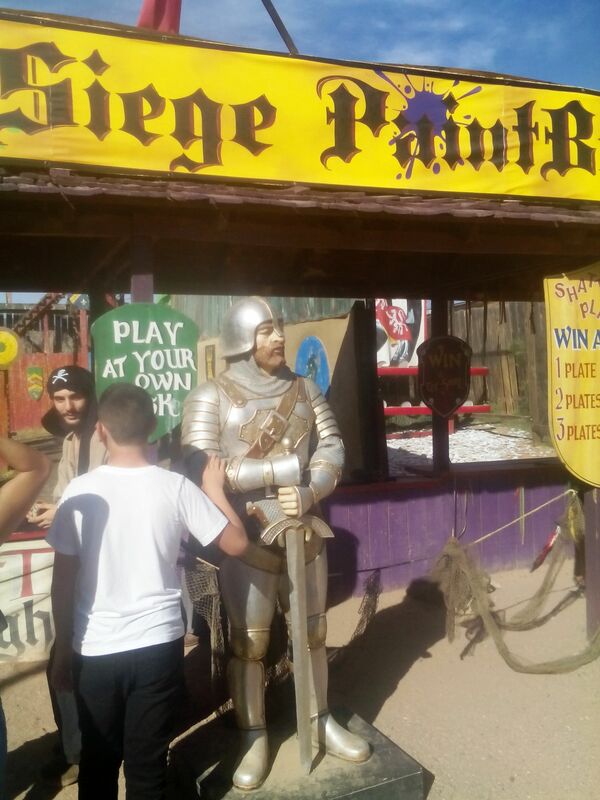 And what might you ask is a Renaissance Faire exactly? Well in my ripe old age I finally went to one. A Renaissance fair, Renaissance faire, or Renaissance festival is an outdoor weekend gathering, usually held in the United States, open to the public and typically commercial in nature, which emulates a historic period for the amusement of its guests. Some are permanent theme parks, while others are short-term events in fairgrounds or other large public or private spaces. 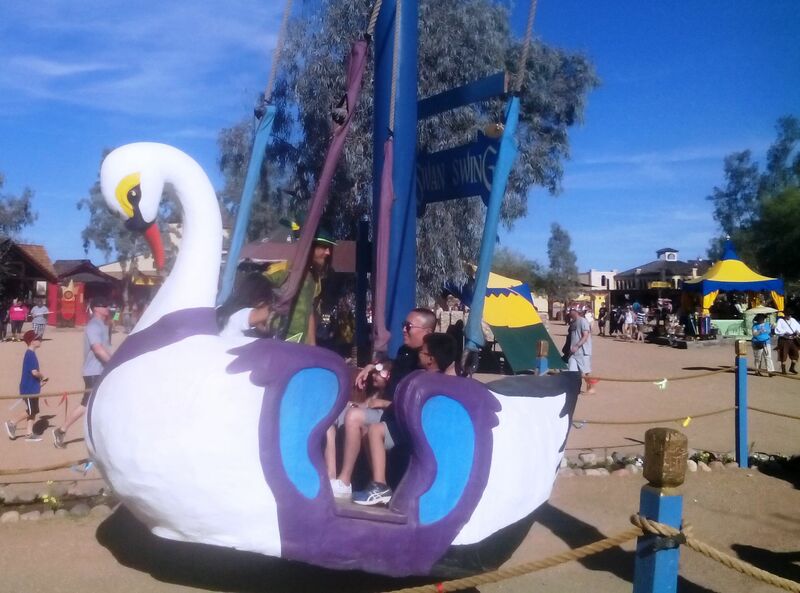 We didn’t make it onto the Swan Swing; we actually didn’t make it to the faire until later in the afternoon due to, you guessed it, an extended work schedule. Next year I’m taking a walk on the wild side and going on the Swan Swing. It looked really fun! 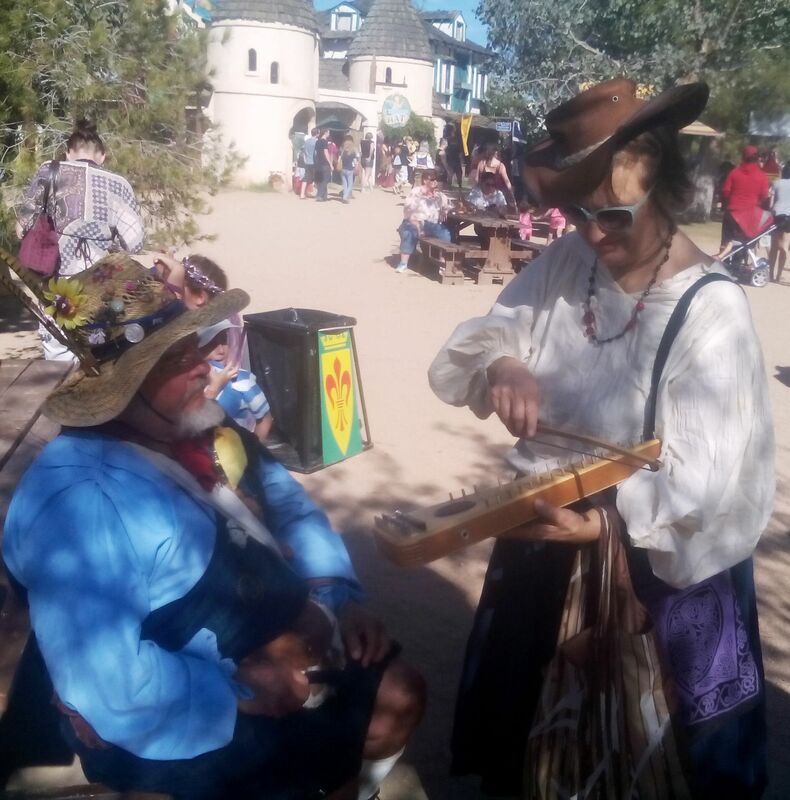 There were tons of great things to shop for and buy that you would have a hard time finding anywhere but at a Renaissance Faire – I got a cool belt and a (manly) bracelet and can’t wait until the next guitar gig where I’m going to wear it on my left wrist. People will think I’m an artiste! But, we didn’t get any chain mail clothing or accessories, viking hats, amulets or magic charms. Maybe next year if the budget can bear it! Seriously though, there were a lot of cool things to shop for you probably won’t find anywhere but at a Renaissance Faire or the internet. A lot of interesting gift ideas. But one problem with buying stuff is you then have to carry it around with you and it is a trek walking around the faire grounds. It is actually a huge area. 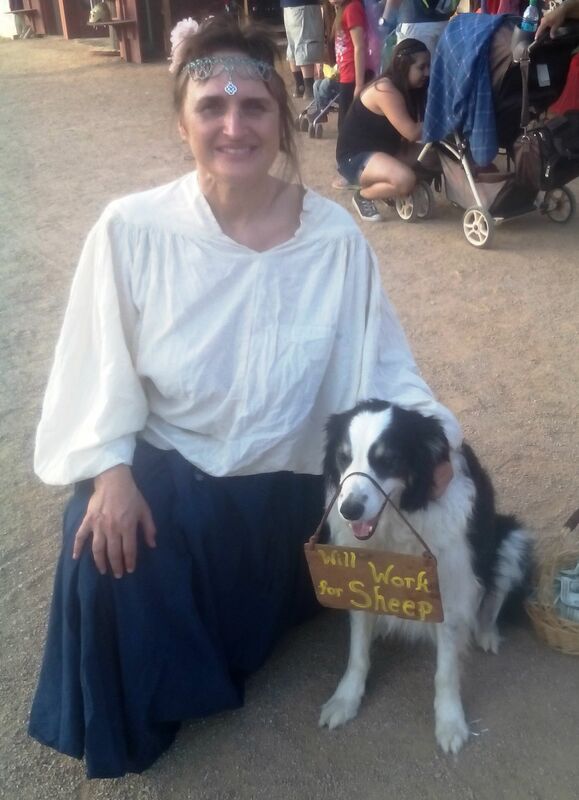 We got to talking with some of the people working the faire, and some of them are permanent faire-people – they travel all over the country going from faire to faire. We talked a a number of full-time faire-iers from Minnesota of all places. But these faires are held all over the country. 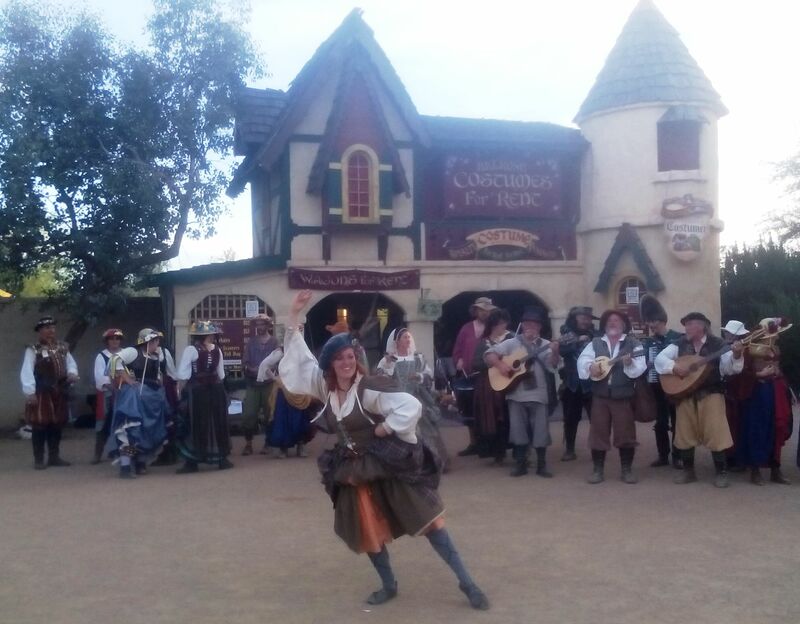 I remember living in California people would talk about going to the “Ren Faire”, I think the Southern California one is staged out in Agoura Hills northwest of LA, just into Ventura County, if my memory serves me. Ah, my old stomping grounds; but like I said I never went to one until this one in Arizona. We had a merry time too! I tried a glass of mead but liked the beer better. As you can see, it is a dry place with dust all around and walking all over you get thirsty. There was merry-making aplenty with dance groups all over – one of our friends is in one such group and had invited us – as a matter of fact, that’s why we were there. 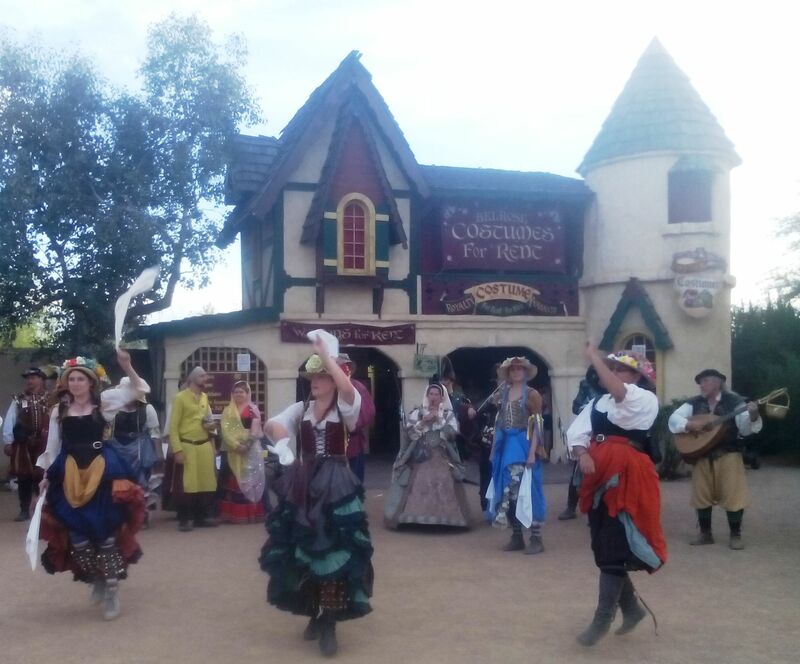 And those dancers have to be in good shape as they not only do those highly energetic dances, but also have to walk all over the faire grounds to different performance venues – then dance more. They do this all day! If you go to a Renaissance Faire, wear comfortable shoes! No magic charms? Well just so you know the belts there also have mystical qualities: they’re infused with potion of red bull, from which we get our boundless dancing energy!